McDonalds is known for offering the same tasty hamburger and french fries around the world, but that's not the only thing you will find in Thailand. 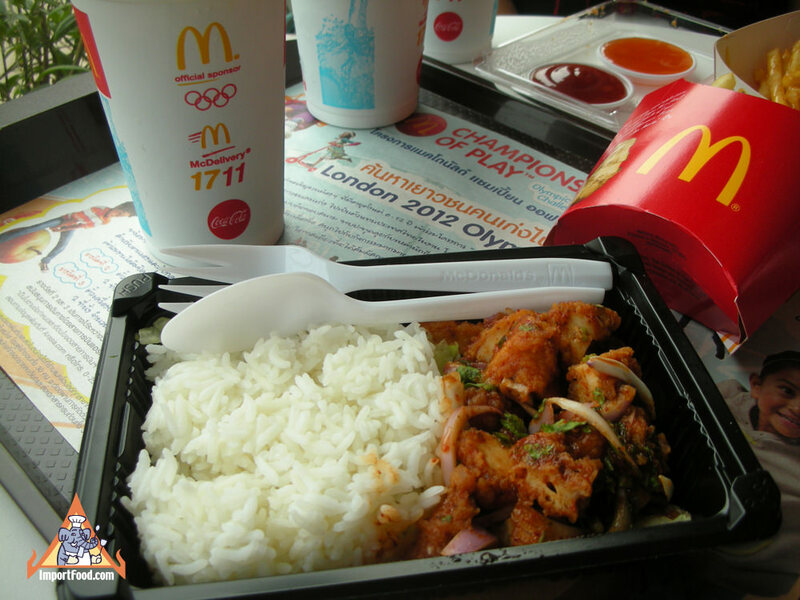 In Bangkok, McDonalds has a new, delicious crispy chicken namtok salad served with jasmine rice. 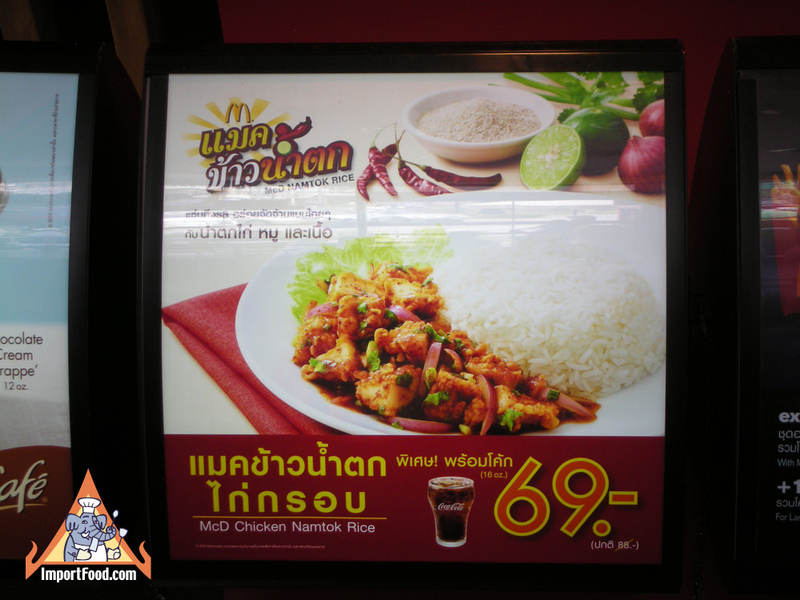 For now it's only 69 baht (about $2.50). Also included in the price is a 16 oz coke. 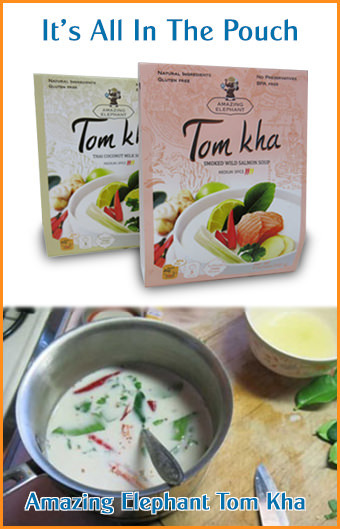 We love namtok and wish it was offered at our local McDonalds in the Seattle area--why not? It would be a nice alternative to the limited edition McRib sandwich. 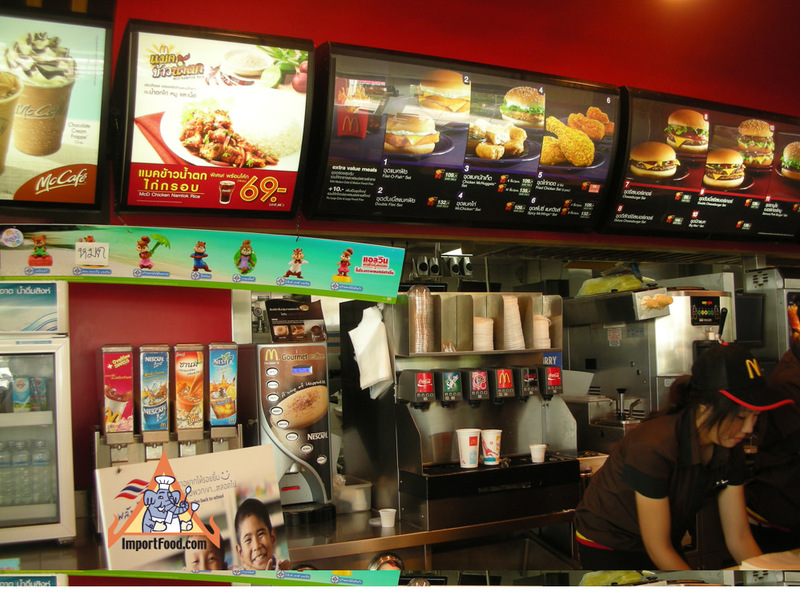 MdDonalds in Thailand is also known to offer an excellent fried chicken sold with delicious sweet chile sauce.